Known for 'I Turn To You', 'Never Be The Same Again' and her duet ‘When You’re Gone’ with Bryan Adams, her multi platinum debut solo album Northern Star and her most recent album release Version of Me. Meet Gina Jane and Jacob Lobo, AKA GeeJay. A fantastic fuse of Soul and Jazz, the North London duo are set to usher in a fresh voice to the modern jazz era. Expect smooth saxophone skills from Jacob with incredible powerhouse vocals courtesy of Gina. One not to miss! Fun, carefree indie, these boys are the sound of summer. With a mix of rock, pop and infectious guitar riffs, Bokito’s melodies are sure to be number one on your playlist. 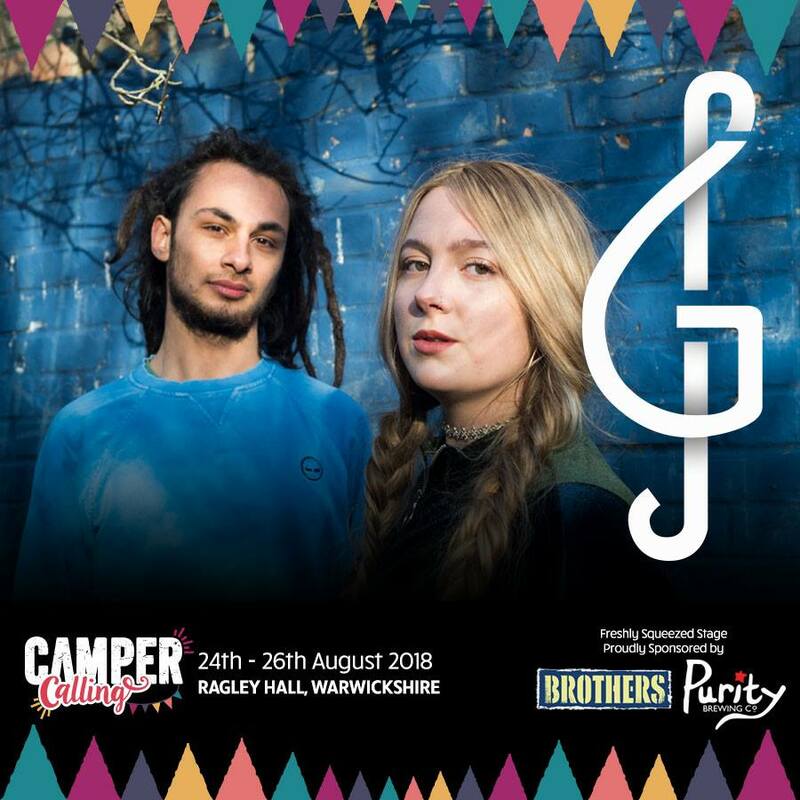 Drawing inspiration from Queens of the Stone Age, Justin Timberlake and Jeff Buckley, their sound never sticks to a genre for too long whilst perfectly fusing together to create songs to make you tap your feet! Watch out! There’s lightning on the way, and it’s in the shape of our Friday night headliners, The Lightning Seeds! With hits including The Life of Riley, Pure, and the two times No.1 single Three Lions (Football’s Coming Home). In B O M B S, Bristol has produced another in a long line of accomplished acts that fuse ethereal sounds with hip hop and electronic aesthetics. The band walk the trip-hop line loosely, dancing all over it and bringing an air of fun to the whole affair. B O M B S will be bringing their eclectic and explosive live show to Camper Calling 2016. The UK’s number one alternative/indie cover band, Plastic Pantomime have a stylish arsenal of tracks to get even the most dour heads nodding along. From classics by The Cure, Pulp and Blur to more contemporary offerings from the likes of Foals, The Futureheads and Mumford & Sons: Plastic Pantomime have got you covered. They might even pull some songs from their just-as-brilliant “Not So Indie” playlist that lists classics by Wham!, Madonna and The Beatles amongst a myriad of others!